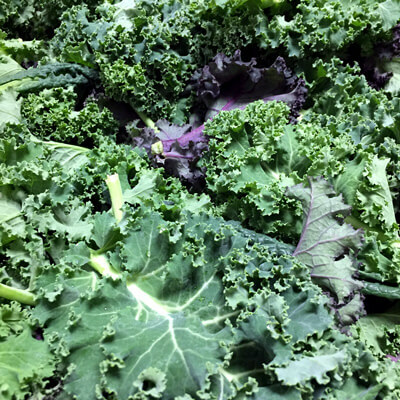 Mixed young kale. Not suitable for the Instant Pot. Another stellar bread week: Fresh Talking Breads available Thursday, plus American Harvest and Cheesy Bread (along with the staples) arriving fresh from McGrath’s Bakehouse for Friday and Saturday. Still on sale are The Sweet Farm’s Almost Sour pickles. While supplies last! Greens are REALLY back! We are overrun this week with beautiful spinach and young braising mix from Village Acres Farm. I have big kale plans this week. So, we broke down and bought an Instant Pot, largely thanks to testimonials from many of you. I didn’t have a real clear picture of how it would fit into our cooking lives — and, honestly, was feeling a little snobby about it — but the thing that sold me was the idea of being able to get a tender roast in an hour, rather than, say, four. Last night we did our first real meal in it — red-wine braised short ribs with carrots and onions. It worked! Short ribs are one of those things that we love, but that really require at least two hours in the oven — maybe more like three — and don’t quite reach their full potential in the crock pot. Like, you know, almost everyone, we don’t usually have so many hours available before dinner to allow for that kind of cooking time on a regular basis. And it’s not just short ribs — thanks to our own personal stash of JuJo’s grass-fed beef, and the pork and lamb roasts we get from our North Mountain Pastures CSA share, we seem to be the proud owners of quite a collection of large slabs of meat. We do a fair amount in the crock pot, assuming we’ve planned far enough ahead, but even more often, we just end up eating really really late. I am very hopeful that the Instant Pot will change that.